Part Used & Method for Pharmaceutical Preparations: The twigs are picked in the spring, dried in a shady place or in the sunshine and then cut into slices or pieces. Properties & Taste: Pungent-spicy, sweat and warm. 1. Wind-cold type of exterior syndrome. Cinnamon twigs (Guizhi) used with Ephedra (Mahuang) increases the diaphoretic action of the herb. 2. Wind-cold type of exterior deficiency syndrome manifested as sweating, aversion to wind, fever and superficial and tardy pulse. Cinnamon twigs (Guizhi) is used with White peony root (Baishao) in the formula Guizhi Tang. 3. Arthritic pain caused by invasion of exogenous wind, cold and damp manifested as soreness and pain in the joints, limbs, shoulders and back. Cinnamon twigs (Guizhi) is used with Prepared aconite root (Fuzi). 4. Deficiency of yang in the heart and spleen manifested as palpitations, edema and shortness of breath. Cinnamon twigs (Guizhi) is used with Poria (Fuling) and White atractylodes (Baizhu). 5. Weakness of yang in the chest (including what is known as Angina pectoria in Western medicine) manifested as pain in the chest, palpitations, or intermittent pulse. Cinnamon twigs (Guizhi) is used with Macrostem onion (Xiebai) and Trichosanthes fruit (Gualou). 6. Amenorrhea abdominal pain due to cold invasion and blood stasis. 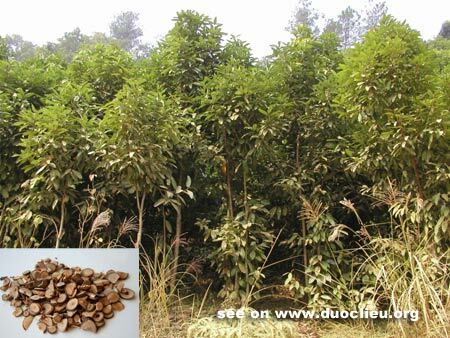 Cinnamon twigs (Guizhi) is used with Peach seed (Taoren), Moutan bark (Mudanpi) and Poria (Fuling) in the formula Guizhi Fuling Wan. Cautions & Contraindications: The herb is contraindicated in warmfebrile disease as well as cases of deficient yin with heat signs. It should be used with caution in pregnant women.